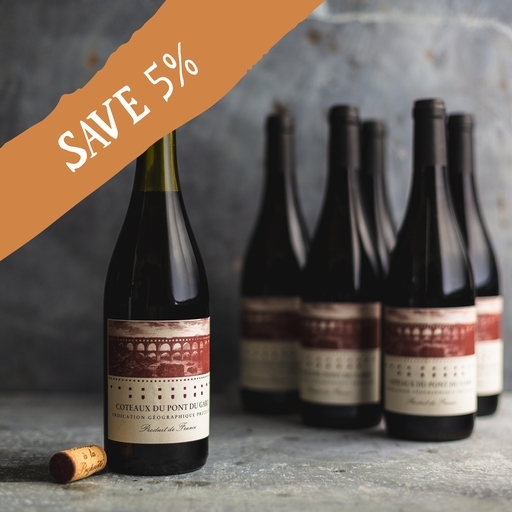 A great value go-to organic red, made by the innovative Les Vignerons d’Estézargues natural winemaking co-op. The Syrah grapes come through in the nose with plenty of rich, spicy pepper, and Grenache gives the balance with earthy liquorice, soft blackberry and plum. It’s exceptionally low in sulphites, too! Pairs beautifully with most meat dishes. Les Vignerons d’Estézargues is a co-operative cellar in the small town of Estézargues, near Avignon, France. They practise natural winemaking—a method which uses minimal intervention in both vineyard and cellar. The result is great value artisanal wines; environmentally friendlier and with exceptionally low added sulphites.